Drag Point defined on circle or Play to animate. 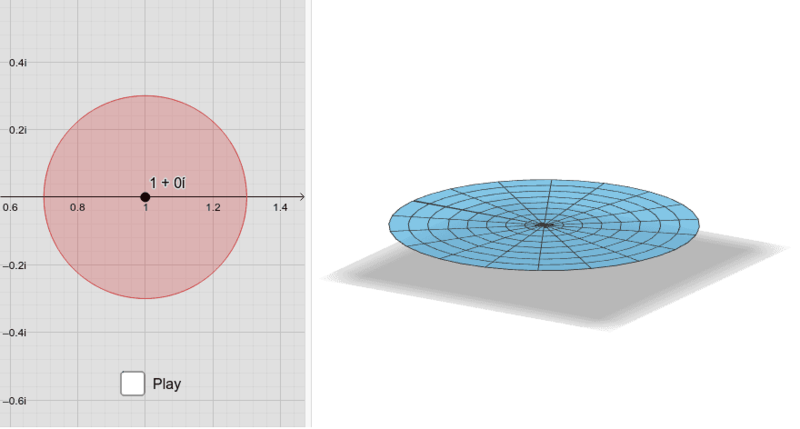 Surface: Re(f(z)), where f(z)=c^z with c in circle. Are the triangles congruent (part 2)?